The “Swattie” as it’s known by locals, is a tributary of the Susquehanna River that rises in Schuylkill County and passes through the Swatara State Park in the Lebanon Valley. During the colonial period, it was a significant transportation route and later, an integral part of the Union Canal. 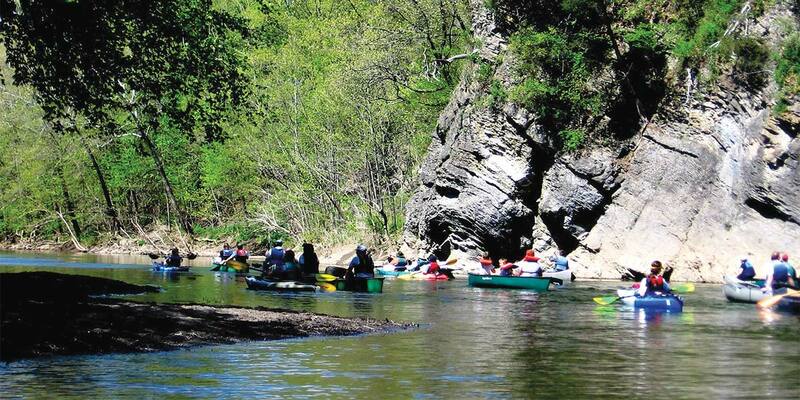 Today the Swatara Water Trail offers 60-miles of outdoor recreation including canoeing, kayaking, and tubing. Experience the Swattie first hand from one of numerous designated launches, and float by a magnificent limestone outcrop known as Blue Rock and under the historic Waterville Bridge. This 60 mile water trail winds from Pine Grove, Schuylkill County, through Lebanon County, to the PA Fish and Boat Commission’s access in Middletown, Dauphin County. Travel through farm lands, Union Canal locks, forested riparian buffers, the Appalachian Trail and abandoned railroad and bridges, limestone outcrops, and the only lava deposits in the state. Public access points in Lebanon County are located at Swatara State Park, Jonestown KOA Camp Ground and the Swatara Creek Watershed Association Waterworks Access, north of Annville.